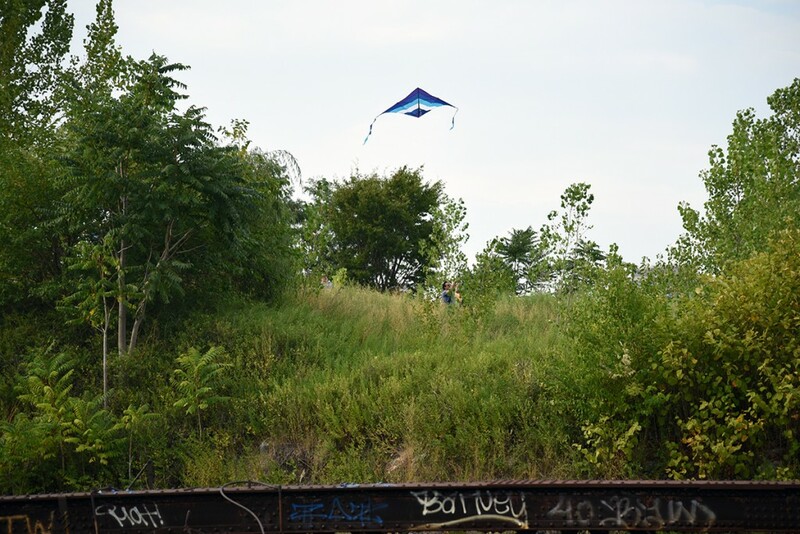 On Sunday August 30th, Chance Ecologies continued its monthlong series of events with Laura Chipley’s Aerial Kite Photography Workshop. 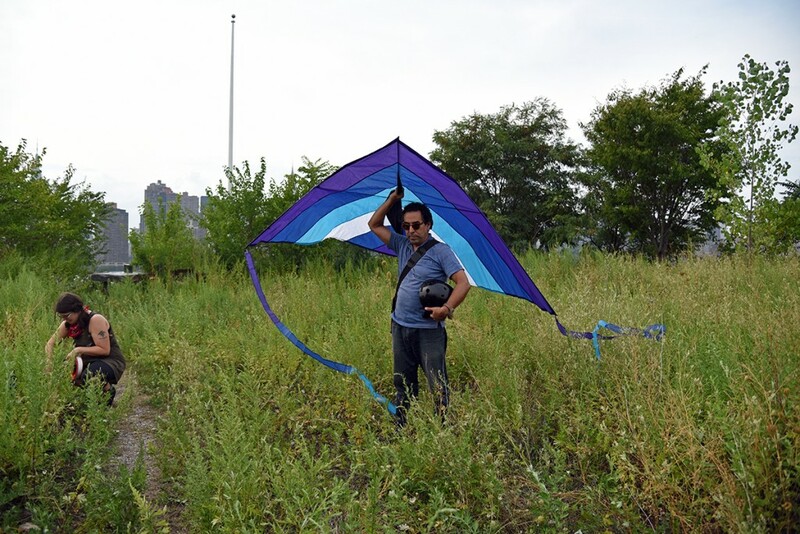 After a presentation on how aerial kites can be used for creative documentation, Chipley led a group of participants to a grassy knoll in Hunter’s Point South for a hands-on demonstration. 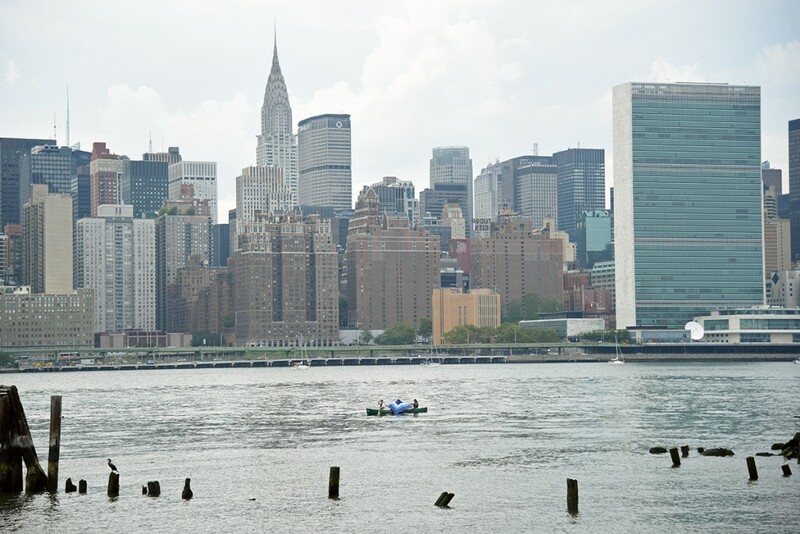 Local canoeists then paddled the kite out into the East River, for a different perspective. Aerial video and photography of the Hunter’s Point landscape will be presented at the Chance Ecologies exhibition in winter.